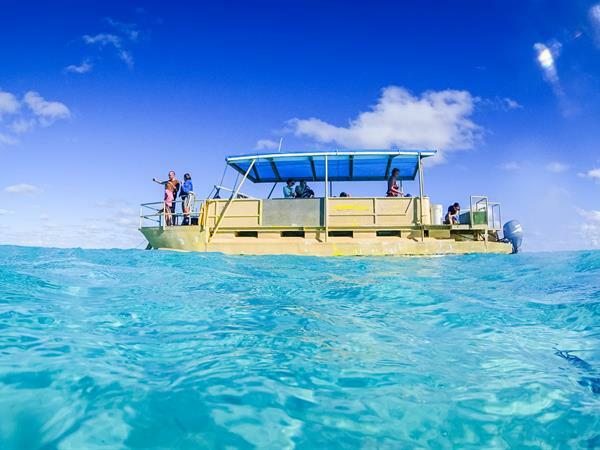 Aitutaki Adventures offers the perfect lagoon cruise to compliment your Aitutaki holiday. Tours operate throughout the week (Monday-Friday) excluding Saturdays and is one of only two operators on the island that provides a lagoon cruise on Sunday. Experience a full day cruise with plenty of snorkelling oppotunities and chances to hand feed schools of fish, inlcuding the Giant Trevally. Chilled water and fresh mouth-watering BBQ is prepared whilst you are enjoying the lagoon and is served on arrival to One Foot Island. Rates include return transfers, snorkelling gear, towels, water and BBQ lunch. Children 0 - 5 years are free of charge.